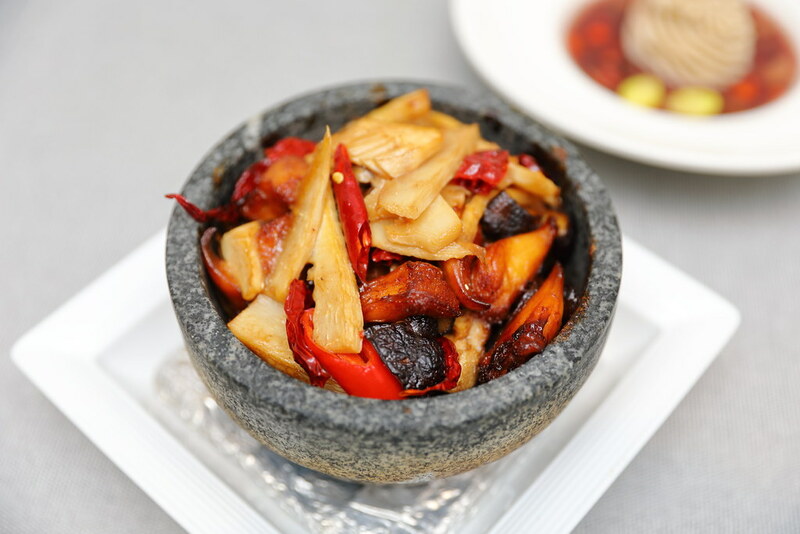 Chinatown Point welcomes a new vegetarian restaurant - Lotus Kitchen located right at the main entrance on level 1. The new vegetarian restaurant is the spinoff of the famous Lotus Vegetarian Restaurant at Quality Hotel. Diners can find new creations as well as some of the best selling mainstays from predecessor. 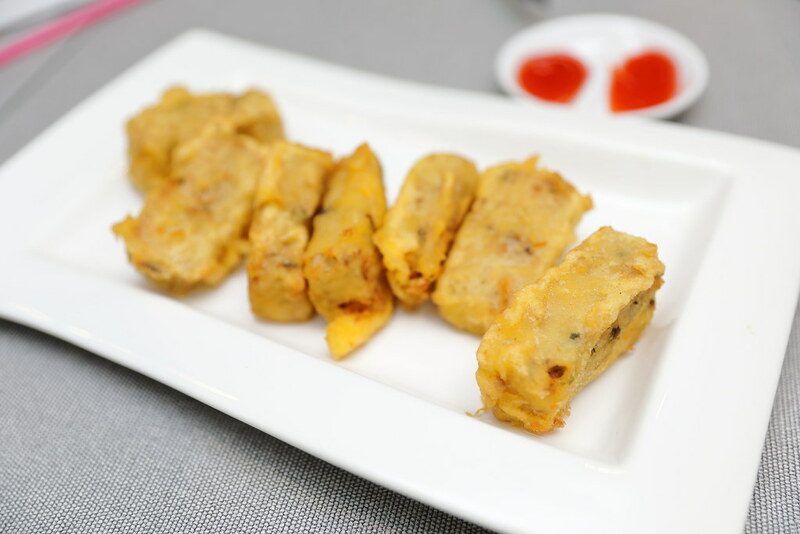 Have you ever try Vegetarian dim sum? You can savour these delights at Lotus Kitchen such as the Signature Lion's Mane Mushroom Pan Fried Dumpling ($8.80) and Taro Mee Sua Cake ($6.80). 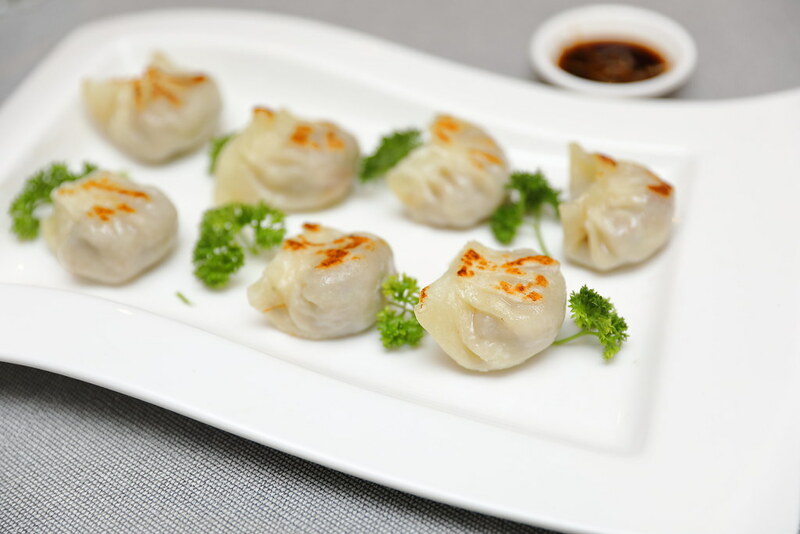 The pan fried dumping is stuffed with crunchy lion's mane mushroom and water chestnuts. For the best of both world is the taro mee sua cake where you get to enjoy the fragrant taro complemented by the mee sua encased in a crisp batter. 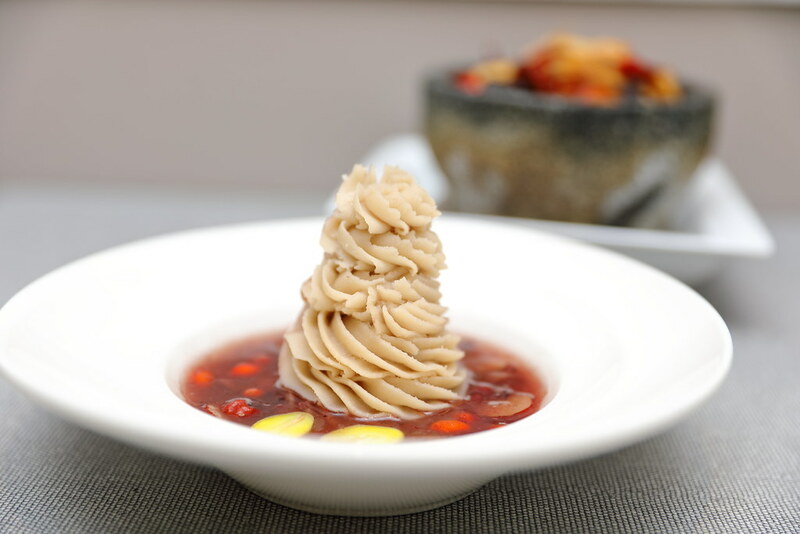 A nourishing offering on the menu is the Signature Double-boiled Herbal Tian Ma Soup ($8.80). It is understand the tian ma herb used in the the soup has liver-calming and neuroprotective some benefits. 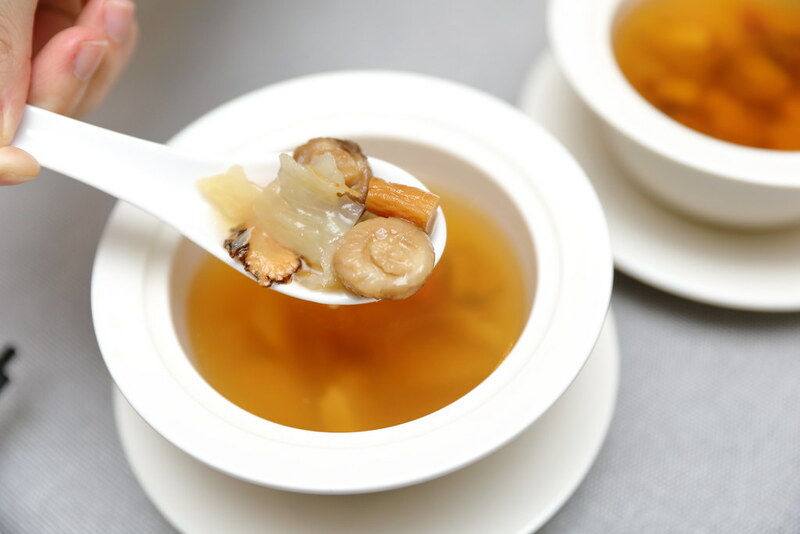 The soup is steamed and brewed with 10 different herbs and premium quality pearl mushrooms. The Signature Crispy Summer Wrap with Passionfruit ($35.80) is your vegetarian version of Peking duck. 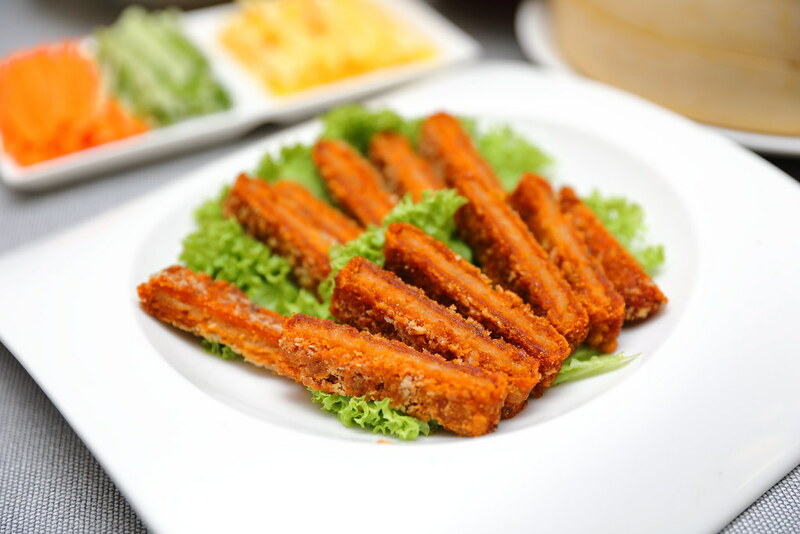 The crispy soya slices coated with special batter is your substitution of the duck meat. 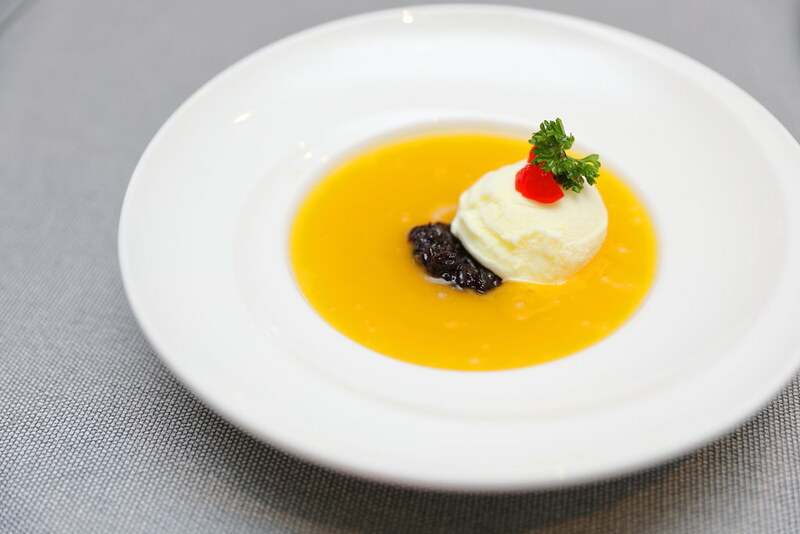 This is eaten the same way as Peking duck, wrapped it with the pancake sheet together with stripes of cucumber, carrot and passionfruit. Not to forget to dip some of the homemade sweet bean paste sauce to complete the whole enjoyment. The Signature Homemade Satay ($15.80) shows me how spices can be incorporated into vegetarian cuisine. 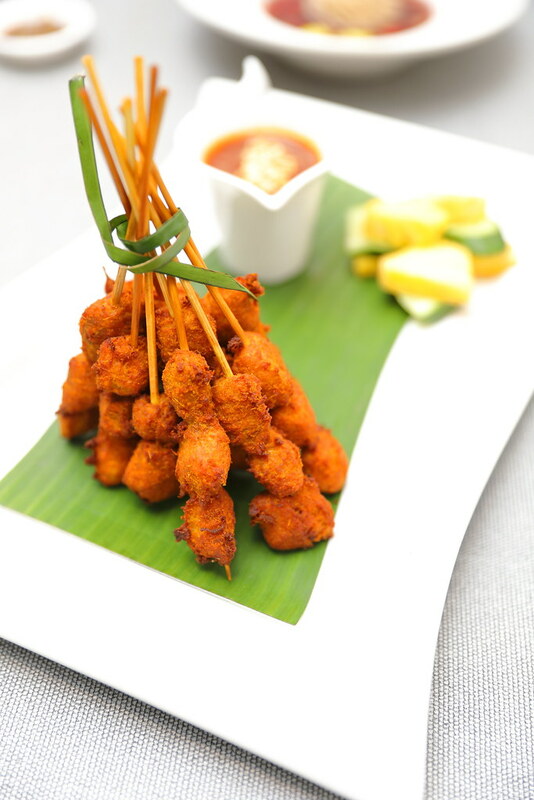 Lotus kitchen has cleverly marinated soya slices with more than 10 different spices to create their version of the local satay. It also comes with homemade satay sauce which went very well with the satay. If you like spicy food, you will find the house blended chilli sauce laid over the Spicy Grilled Oat Slices in Hotplate ($18.80) setting you on fire. It is damn shiok. The dish is made using oats, soya and seaweed. It not only look like a fish but taste almost like it too. 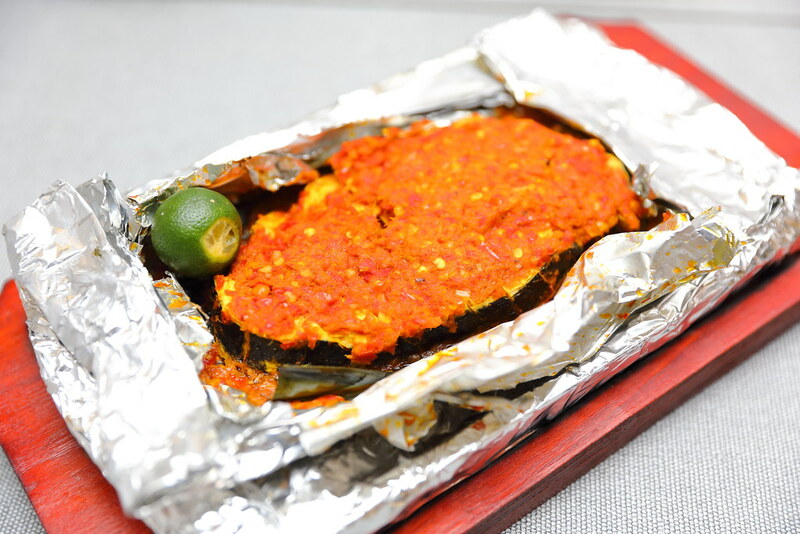 This is really a close rendition of the sambal fish. One of the crowd favourite is the Braised Mushroom in Hot Pot ($18.80). It comes with lion's mane mushroom, shitake mushroom and bamboo shoots stir fried with chilli, ginger and basil leaves. 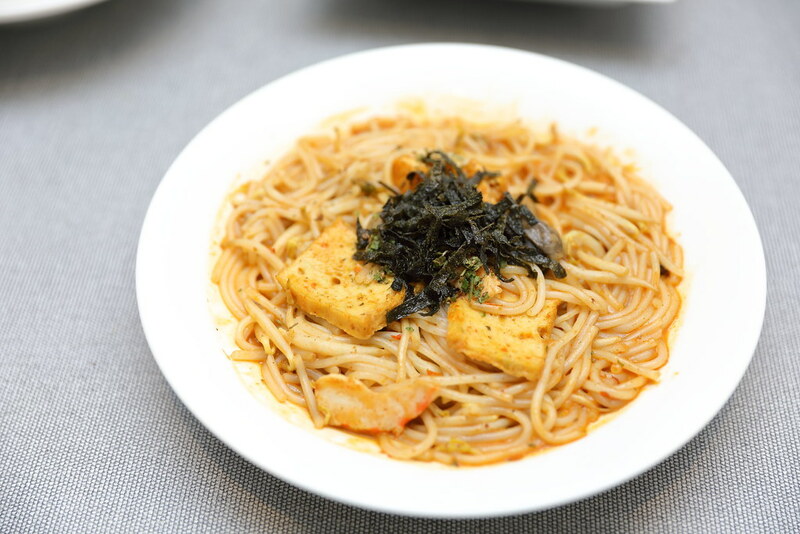 It resembles the popular 3 cup chicken, except that the chicken is replaced with crunchy mushrooms and bamboo shoots. I was initially sceptical about the Signature Stir Fried Laksa ($9.80) but I was wrong. The flavours were spot on, doing justice to one of the local's favourite street food. My only complain is the used of seaweed instead of laksa leaf. I find the balance of the dish distorted by the seaweed flavour. The dish that I least like is the Pumpkin Paste with Purple Rice ($6.80). I could not traced the pumpkin flavour but just sweetness over sweetness. The pumpkin paste needs to be more distinct. 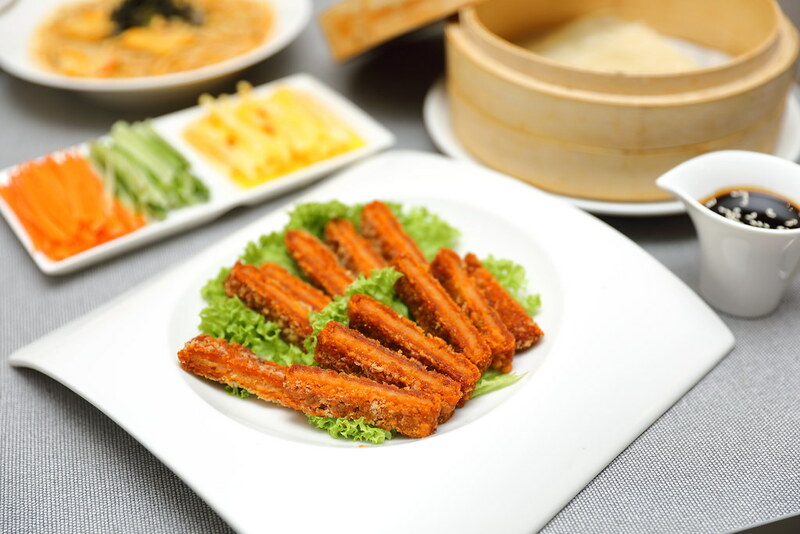 A dessert not to be missed on the menu is the Lotus Yam Paste with Purple Rice ($6.80). The yam paste comes with purple rice mixture and gingko nuts. Somehow I felt like I was served the traditional Teochew yam paste together with a bowl of red bean soup, in a different way. It is like having 2 different desserts on a plate. I have to say I am very impress with the vegetarian dishes at Lotus Kitchen. Especially on the creativity behind the dishes. It definitely changes my perspective on vegetarian cuisine. Vegetarian food is not just about deep fried flour items and greens.